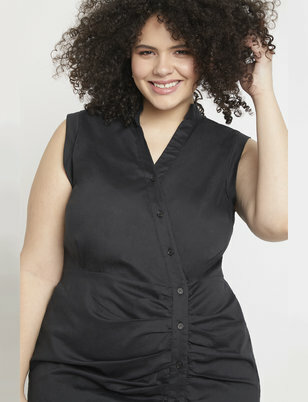 The most versatile color in the game, black is truly a girl's best friend. 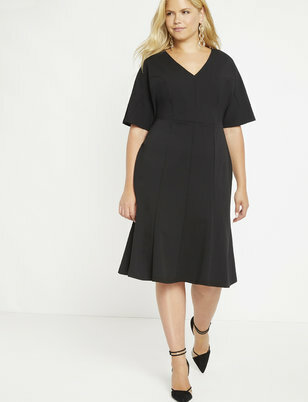 Our black dresses are no different, ranging from LBDs to casual maxi dresses to reliable work sheaths. 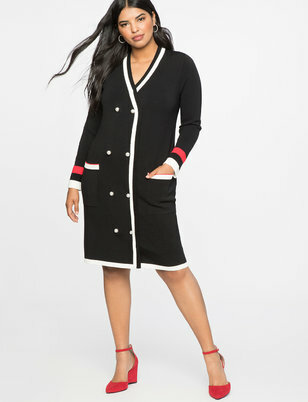 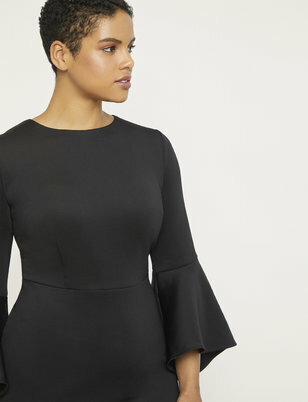 These solid smocks go with any piece of jewelry and can be dressed up or down, making them a transitional go-to when you're headed to cocktails straight from the office. 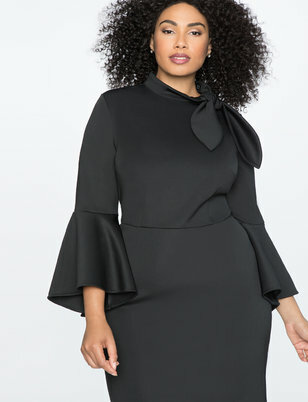 Wear a long sleeve shift in the winter with a furry vest or an off the shoulder gown with silver heels for your next black tie party. 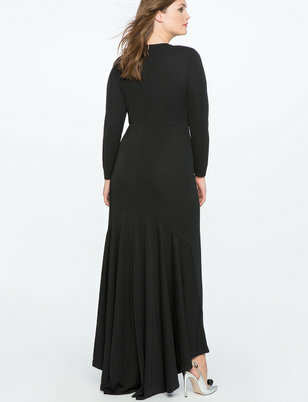 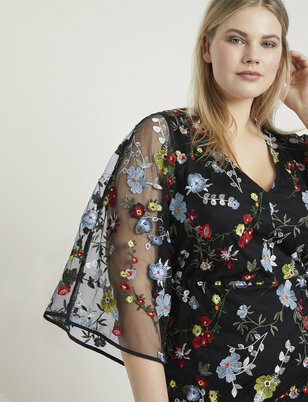 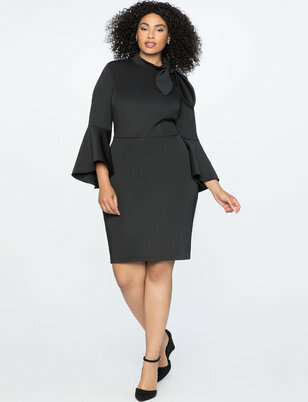 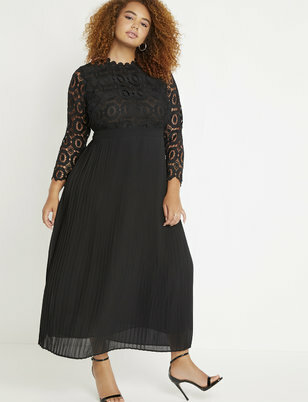 With subtle details like ruffle overlay or bold embellished accents, our plus size black dresses are a guaranteed win.